From Australia and Hong Kong to the UK and back again, Ken Wong, has had an enviable career which has seen him contribute to creating Ustwo’s Monument Valley and founding Florence developer Mountains. It did, however, as Wong explains, all start with fan art. Sitting outside of the Melbourne Convention Centre during Pax Australia, he explains that he spent his time during university drawing illustrations about American McGee’s Alice after being dissuaded from joining the games industry earlier on. “Back when I was in university it wasn’t exactly considered a smart career move, so I was studying multi-media,” Wong tells PocketGamer.biz. “Around that time, the year 2000, there was a game called American McGee’s Alice and I liked this game as it was something quite different, so I did some fan art for it. “The game’s designer, whose name is American McGee, saw it and was impressed enough to ask if I’d like to work on his next project. 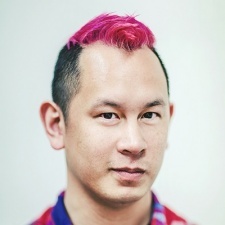 Following on, Wong eventually landed at Ustwo in the UK where he worked on Monument Valley as the game’s lead designer. After this though, Wong felt the need to seek out a new challenge despite that premium title’s soaring success. “Monument Valley was a lot more successful than we could have ever imagined and I guess I felt like I had done what I wanted to do in the UK and with Ustwo,” Wong tells us. “That team was amazing, but I felt like I wanted to grow on my own and I wanted to see what they could do without me, so we went our separate ways. “In the meantime, I had seen how far the Australian games industry had come and in particular in Melbourne. The result as many have come to know was Florence. The game’s exploration of the highs and lows of a relationship discovered and lost achieved a similar sense of triumph to Monument Valley in touching both regulars to mobile games as well as those on the periphery. The title has received critical acclaim and won the accolade for Best Storytelling at the Pocket Gamer Mobile Games Awards 2019 in association with Game Insight. Creating Florence was not without its challenges, however. 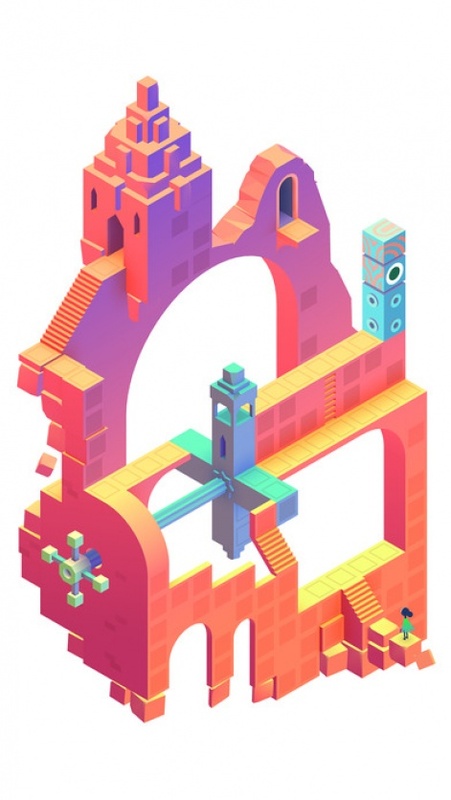 Wong tells us the game’s development differed significantly to that of Monument Valley as the idea behind that game stayed relatively intact throughout its development. Florence, on the other hand, took a while to figure out. “There was a lot of anxiety throughout that journey about ‘what are we doing? Are we wasting somebody else’s money in making this?’ But we made it through,” Wong says. Despite both games being warmly embraced in the end, Wong has found the aftermath of both games to be entirely different. “With Monument Valley, a lot of the conversations around that time were about pricing and the experience,” Wong reflects. “The notion of making a premium game in 2014 was quite novel and I guess that’d become more normalised, which is great. “People think of Monument Valley as a puzzle game. I don’t think about it like that, I think of it as an adventure game that happens to have puzzles in it. “But people still kind of framed Monument Valley as a game whereas the conversation around Florence has been really interesting, where it’s almost like bleeding into becoming an app, a storybook or its own thing. The notion of making a premium game in 2014 was quite novel and I guess that’d become more normalised, which is great. For Wong, Florence has succeeded in establishing that connection, which can be best summed up by interactions Mountains’ team has had with people who have experienced it. “People have told us how they’ve cried and how they’ve decided to play it on public transports and then ended up crying on those public transports,” Wong explains. 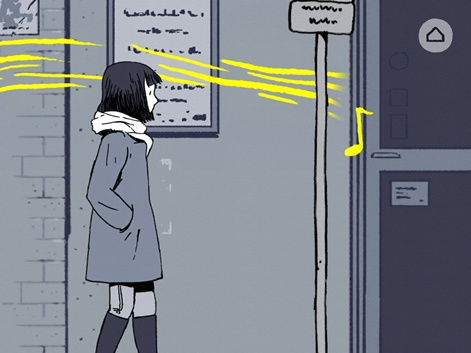 “It’s a very good sign that games can be as powerful as books, music and movies. Part of Florence’s emotional appeal comes from its focus on the every-day rather than the extraordinary. It sits among games like Stardew Valley, Animal Crossing and #SelfCare in being notably non-violent and often includes the menial tasks in life, such as organising a bookshelf. As #SelfCare developer Brie Code once told us, games like this operate on the tend-and-befriend reaction, which comes from offering players the opportunity to take care and to connect, rather than fight and win as per your typical video game. For Wong, it’s a principle he is a fan of owing to the untapped potential of the idea and having grown bored with violent games after growing up with them. “As a designer that tend-and-befriend area is super interesting to work in as a lot of the great works haven’t been made yet,” Wong tells us. “Instead of going up against Blizzard and Activision and having to compete with those big titles with those decades of history. You know, people who are fans of games like Animal Crossing and Stardew Valley, they just want more experiences like that. “In that theme of trying to access wider audiences, I think there is a real thirst for safe spaces and games as therapy. “I have this theory that violent and action games as we know it; they're the equivalent of exploitation films. “So, you talk about movies that work on shock, adrenaline, gore, sexiness and conflict; what if that is the niche for games? What if, 20 years from now, that’s a niche and most games are about everyday life, like colour, patterns and virtual spaces that you can spend time in and hang out with friends. You can read more from our Indie Spotlight series here.